Here is an epic selfie was taken by Adam Stern, the 28-year-old diver who filmed his encounter with the giant sea creature. According to the video’s YouTube description, Stern was diving off the coast of Nuku’alofa, Tonga when the chance ocean meeting happened. He had just jumped into the water to cool off right before spotting the huge female whale swimming by. “We could hear singing in the water and then all of a sudden this big female whale just appeared,” Stern, who’s from New South Wales, Australia, said in a statement. This is one of the most thrilling experiences of his life. Just to give you an overview about Humpback whales, they belong to the same family of a blue whale, fin whale, Bryde’s whale, sei whale and minke whale and mostly reply on krill, small shrimp-like animals, and small fish and eat approximately 1.5 tons of food a day. Thee whales are good singers, however, the songs are complex and each population will sing its own unique songs. 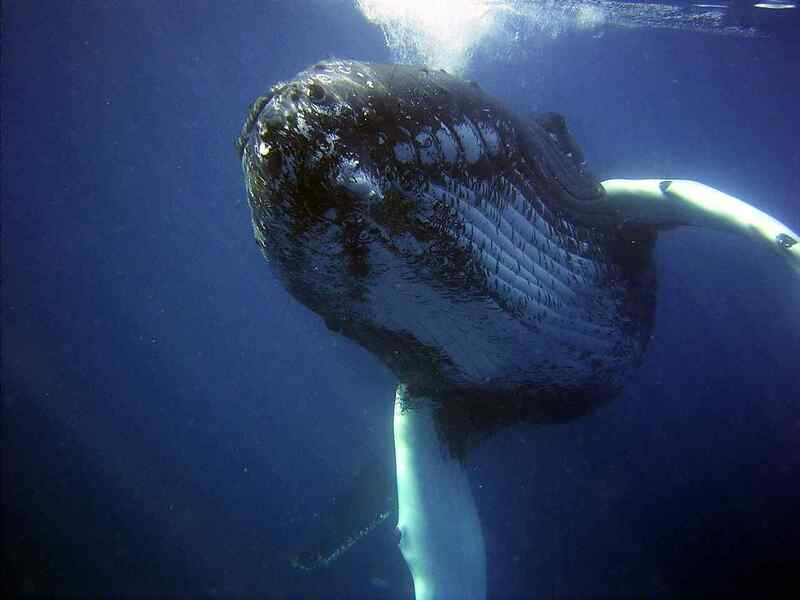 One of the strongest whales in the world capable of migrating across the globe from Antartica to the Pacific.